Toys are more necessary than you think. First they provide your rabbit with mental and physical activity. 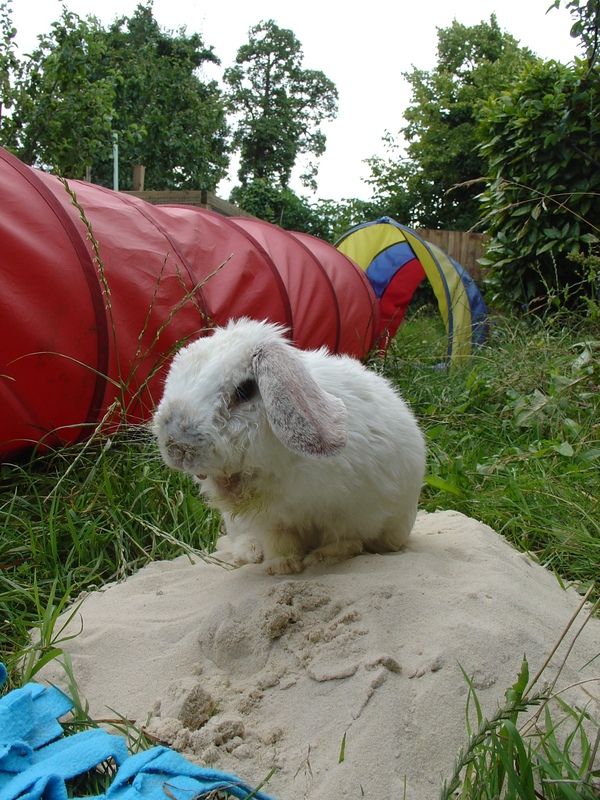 Secondly they help to protect your home, becoming an integral part of bunnyproofing. Cardboard rolls from toilet paper to chew, roll, toss, knock down, etc. You can also fill them with hay and a treat. Parrot toys made of wood/hard plastic that can be tossed or hung from a baby gate, etc. Potted edible plants, e.g. chicory, parsley, sunflowers and vegetables to nibble on. You can create little alleyways by leaving gaps between the pots.